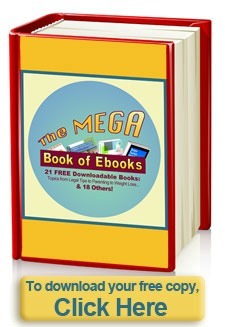 My friends and I have created a Mega Ebook PDF Download with links to over 21 topics that we are giving away. You can download your copy today for free. Creating a website is generally a solitary pursuit, but I know I need to talk to others about technical and other issues from time to time, so I've attended a couple of conferences of other website owners, to learn more about the process. While there I connected with quite a number of wonderful folks, all of whom have their own quality websites, and we've kept in touch with one another since. It has been kind of like an online cheering and help session for each of us, and a way to get and share great ideas. One of those great ideas, and also a challenge to ourselves at the same time, was to write some free ebooks to give away to our readers, as a thank you. In addition, we hope that we will all gain some new readers who are interested in the topics we write about, as we help introduce others to our topics, and our points of view and ideas. Not all of these topics in the ebook will be of interest to everyone, because they are all pretty diverse. However, if you even find one free book you're interested in from it, then I'll feel like it was a success! 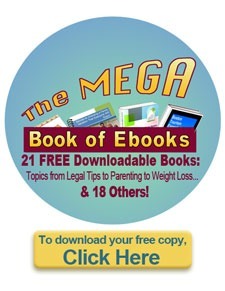 This Mega Ebook PDF download is a result of several months of work and collaboration, and we hope you enjoy it. It contains more description about each book, along with a link to get each separate Ebook PDF download, typically by signing up for the sites newletter, or something else like that (or to get mine becoming a Facebook Fan). Here is a list of the titles available, so you can decide if you're interested. Wow! What a list, right? Well, if you check it out and love any of the books PLEASE share this Mega Ebook with your friends, by tweeting, posting on your Facebook wall, or emailing the link to this page to everyone who you think might be interested! It's free, after all.